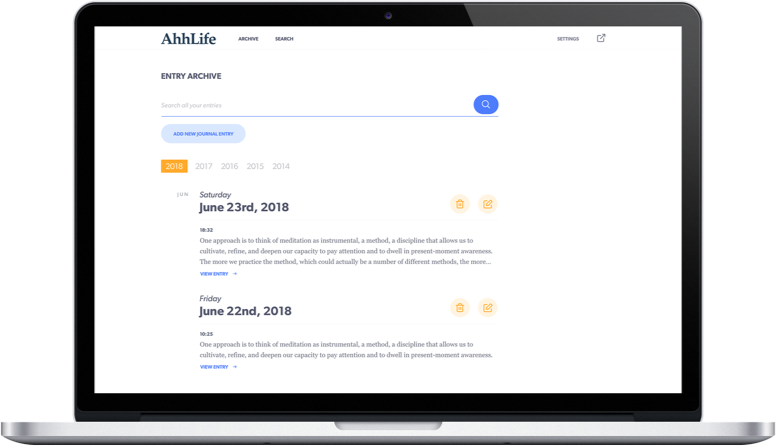 To get started with AhhLife all you have to do is reply to an Email.You tell us the frequency and time of the day you want to receive them so you can create your entries when it’s most convenient to you. To get started with AhhLife all you have to do is Log in using your Gmail account. No account creation needed. You’ll be directed to your settings where you’ll tell us the frequency and time of the day to receive so you can create your entries when it’s most convenient to you. Wait for your next Email prompt to arrive based on your settings, reply with your entry and you’re done. Wether you want to write about your everyday life, track your pregnancy or just keep a journal on your mood you can do so. Want to share your pregnancy journal with your partner? Your meals tracker with your nutritionist? Keep your diary to yourself? It’s all up to you! Since we are an email-based service, you can update your journal on anywhere you can send and receive email, without the need to install additional software. Start writing your life story for free!